With over 15 years of experience, DJ Dal is one of the most ideal choices as your Indian wedding DJ. DJ Dal offers the most professional Asian Wedding DJ services around. His events in the past have covered Asian, Indian, Pakistani, Bangladeshi, Punjabi, Gujerati, Hindu, Sikh, Muslim, Christian and mixed race fusion functions. DJ Dal can create innovative, bespoke Asian wedding DJ entertainment and services to suit all budgets and events. His services extend from weddings and dinner dances to outdoor events, launches and corporate functions. DJ Dal aims to take the stress out of your event planning. His state of the art sound, lighting and audio/visual systems will create the perfect setting for your wedding. He takes great pride in mixing his wide ranging music with live friendly audience interaction. Regardless of the event, his musical motto remains the same: play what the audience wants to hear. Combining this motto with preparation has proven to be a hit formula every time. From the best in Asian Wedding DJ services and entertainment to lighting and backdrops, transport to décor, DJ Dal can have every wedding requirement perfectly arranged. In fact, he always aim to exceed your expectations. It’s no secret his success is down to providing a professional service with creative flair and practical know-how. 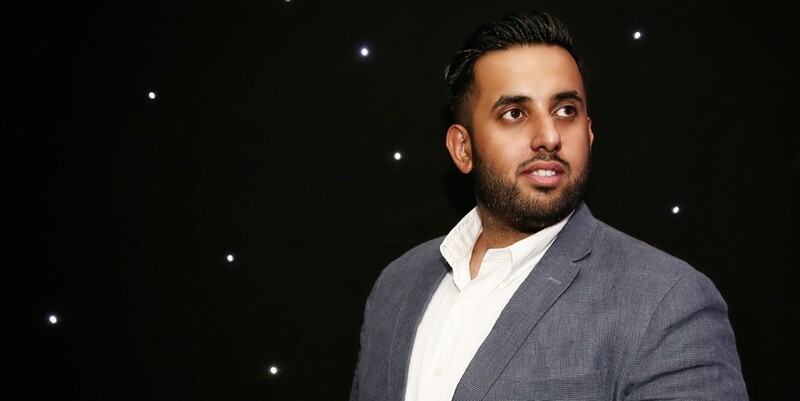 DJ Dal brings a wealth of skills and knowledge to the Indian Wedding entertainment market to be able to create the perfect setting for your Asian themed event. If you enjoyed this blog, I’d be very grateful if you’d help it spread by emailing it to a friend, or sharing it on Twitter or Facebook. Thank you!